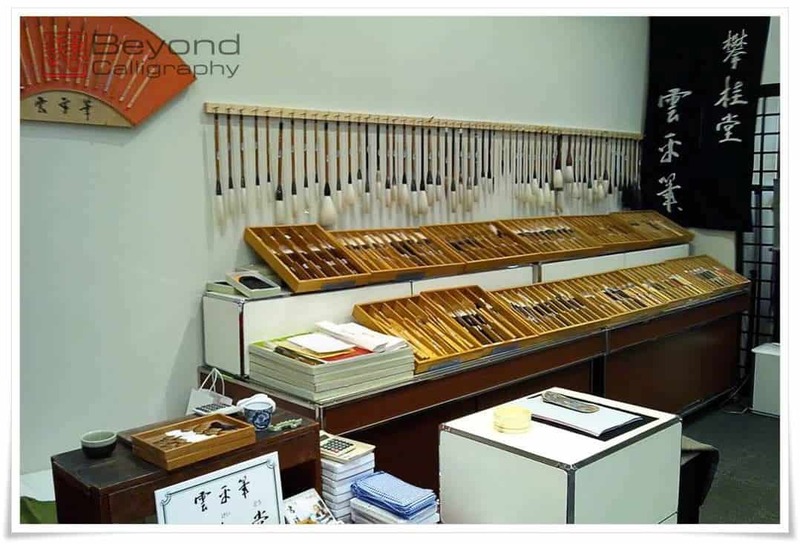 The annual exhibition of the esteemed Hankeido (攀桂堂, はんけいどう, Hankeidō) Workshop, renowned for manufacturing traditional Japanese brushes known generally as unpei fude (雲平筆, うんぺいふで), was held recently at Takashimaya Nihon-bashi in Tokyo. 2. 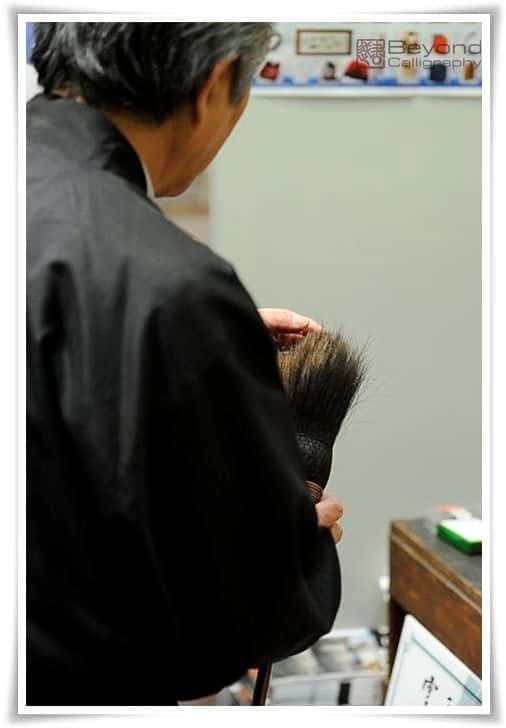 Master jūgosei Unpei (十五世雲平) examining the brush presented to be restored with his son his son Fujino Unpei (藤野雲平) looking on. Under the guidance of esteemed Master Jūgosei Unpei (十五世雲平), the owner of Hankeidou Workshop (攀桂堂), and his son Fujino Unpei (藤野雲平, ふじの うんぺい), Fujino Junichi (藤野純一, ふじのじゅんいち), with a history dating from the Shoutoku Era (1711 – 1716), Hankeido continues to supply brushes to the Imperial Household of Japan as well as to calligraphers fortunate enough to acquire them. 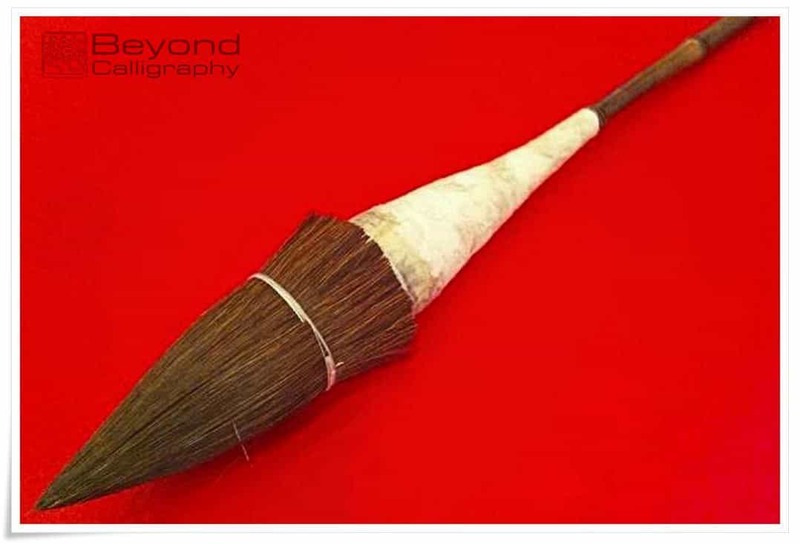 Unpei fude is also known as kami maki fude (紙巻筆, かみまきふで), or, maki fude, literally meaning “(paper) wrapped brush”, and the construction of maki fude (巻筆, まきふで) is most unusual. 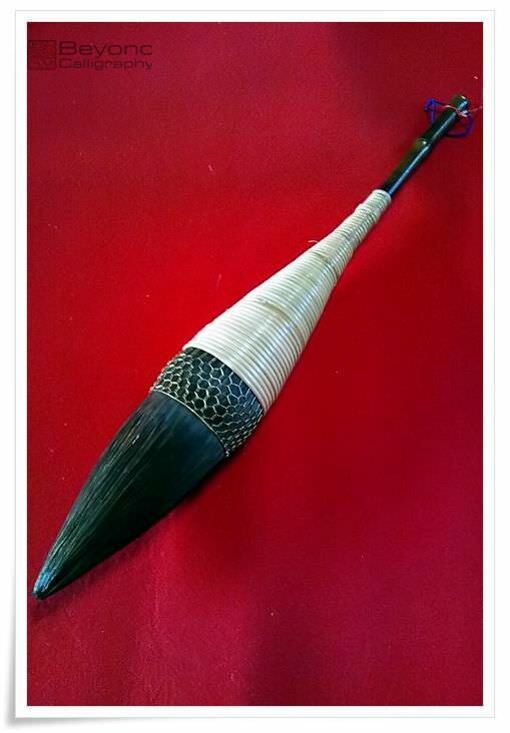 Hankeidou is the only workshop in the world that makes maki fude in the traditional way with a very specific brush construction technique done only by hand. 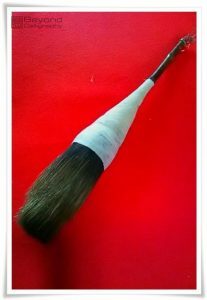 Due to their storied history, at last year’s exhibition, a very large brush was brought by a High School teacher from Chiba Prefecture with the hope of having the brush restored. Hankeido has generously shared with Beyond Calligraphy images showing the process of restoration completed over a lengthy period of time. It was a challenge to acquire proper materials to accomplish the task. Of particular concern was an area of the brush which had been eaten by insects, but by supplementing and filling in the area and replacing certain parts of the brush, the final result is true to the original yet fully renewed. The personal response of Hankeido to the restoration process was that it was a great opportunity for them to study and marvel at the techniques of a predecessor. 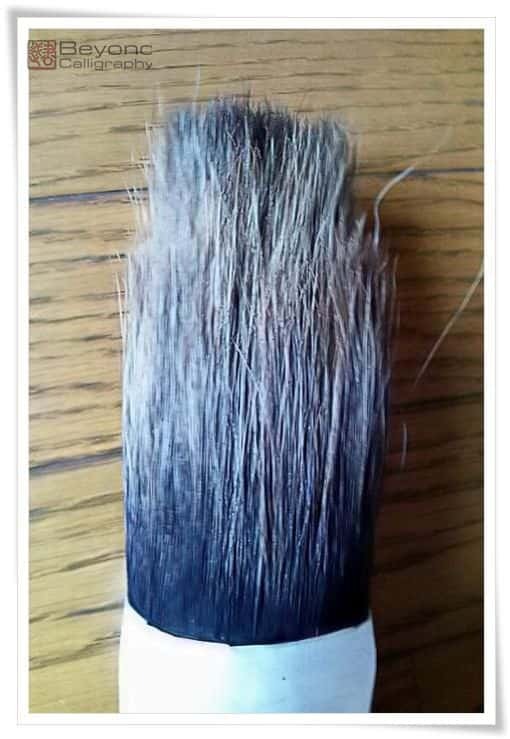 The image of the restored brush attests to the masterful craftsmanship and respect accorded to the brush in the process, and its completion shows an object of great and lasting beauty.